If your home is infested with pests, you might be concerned about the condition of your home. This is a valid concern – after all, pests can damage the structure of home, as well as your walls and flooring. Depending on which pests are affecting your home, you might want to handle the situation differently. For more information about pests and how to clean your home, keep reading our comprehensive guide. Flies are pests that thrive during the summer. They infest your home by laying eggs outside, whether it be in sewage, water, garbage, etc. 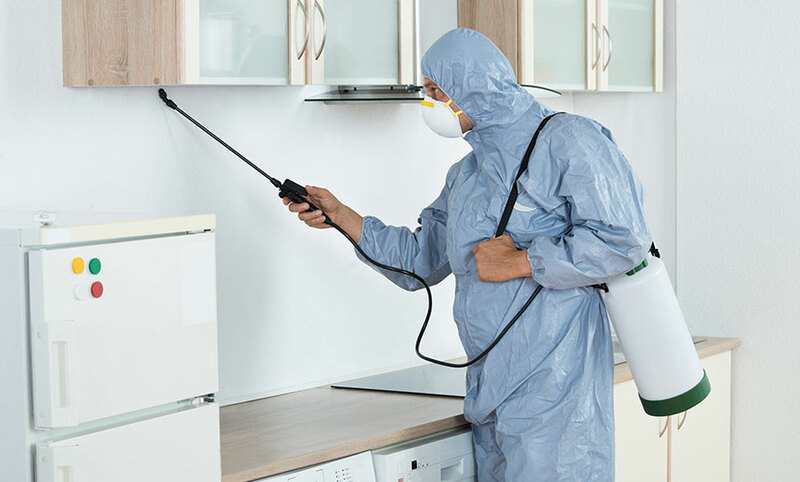 The best way to avoid having these pests in your home is to take the rubbish out as often as possible and to keep your doors closed as often as you can. You can remove ants from your home with a number of natural remedies. One solution to get rid of ants is to put boric acid or borax powder in places that the ants enjoy to crawl around. If you decide to do this, you should try to keep any pets and children in your home away from the affected areas. You can make a solution out of the borax from grains, sugar, borax, and flour. Mix these ingredients together and when the ants carry them, they’ll bring chunks of the borax back to their nest, other ants will feed on it, and they’ll die. No one likes wasps. They make nests around rubbish and food, and it can be hard to get rid of them once they’ve nested. If you want to get rid of the nest, you shouldn’t try to take it down right away. Instead, you should buy a wasp removal product from your local hardware store. You can ask a clerk or employee what their best product is. If the product in question doesn’t work to remove the wasp nest, you should call professionals to take care of the problem instead. That’s because if the wasps aren’t dead, they may attempt to attack you. Anyone who has allergies will likely suffer from a reaction. Silverfish are little bugs you might find crawling between book pages, in wardrobes and in bathrooms. They’re attracted to items in your home that are high in starch or homes that are exposed to excessive dampness. To reduce the number of silverfish that are in your home, you should attempt to remove things with paper and you should store your clothing safely away. Fleas may come into your home if you have pets. They climb to the fur of your animals and lay eggs to multiply exponentially. To get rid of fleas, you should comb your pet’s hair and remove them whenever you can. Make sure you vacuum anything in your home and remove materials in your home that resemble pet hair. You can also visit your local pet store to buy collars and other products that help to remove fleas from your pet’s hair and home. If the problem continues, you should call a professional. If you want to remove pests from your home and you aren’t sure where to start, you’ve come to the right place. No one likes to have pests in their home, which is why you probably want to get rid of them as quickly as possible. For more tips on removing unwanted pests from your home or to schedule a cleaning, contact the team at Dom Care Cleaning today.